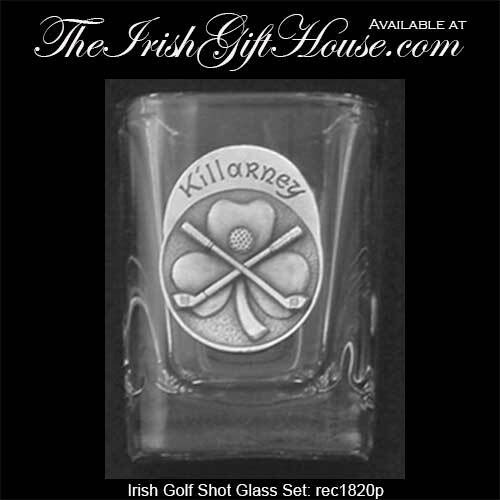 Lahinch and Killarney along with Ballybunion and Waterville are the names of the four famous Irish golf courses that are embossed on these Irish shot glasses. This Irish shot glass set features pewter emblems with the name of a famous Irish golf course on each of the four measures. 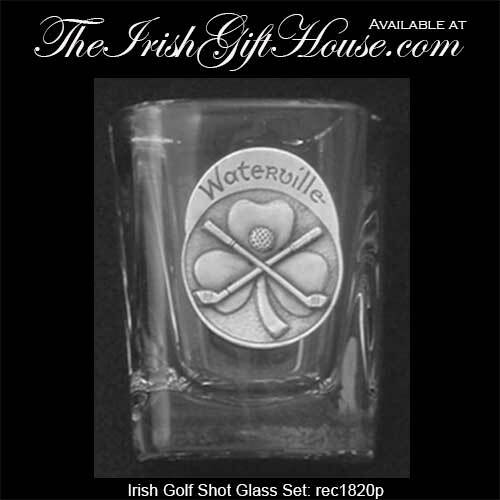 The Irish golf shot glasses measure 2 1/2” tall and hold 2 ounces of whiskey and they are enhanced with a shamrock along with crossed clubs and a ball. 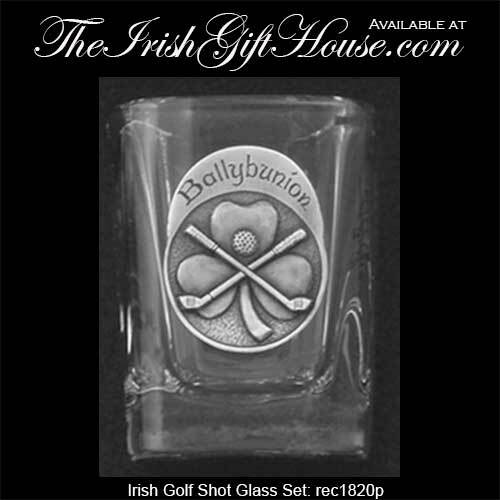 The dishwasher safe, square shaped shot glass set is made in the USA and is gift boxed with a shamrock history card, complements of The Irish Gift House. 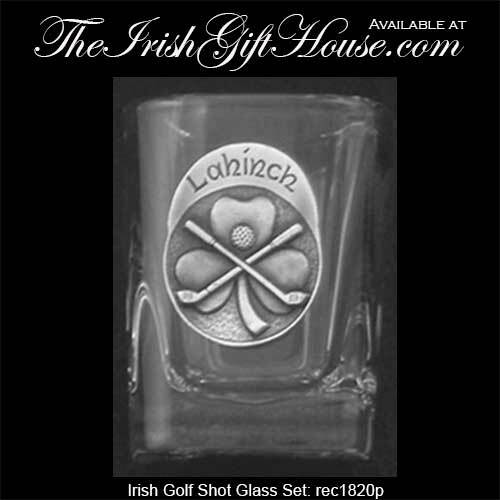 Irish shot glasses features a golf motif that is enhanced with a shamrock along with the names of famous Irish golf clubs.